In a large skillet, heat the oil over medium-high. Add onion and saute until clear (3 minutes). Add vinegar and Splenda and season to taste with salt and pepper. Transfer to a glass bowl, add the zucchini and toss. Let this marinate at room temperature for at least 30 minutes. 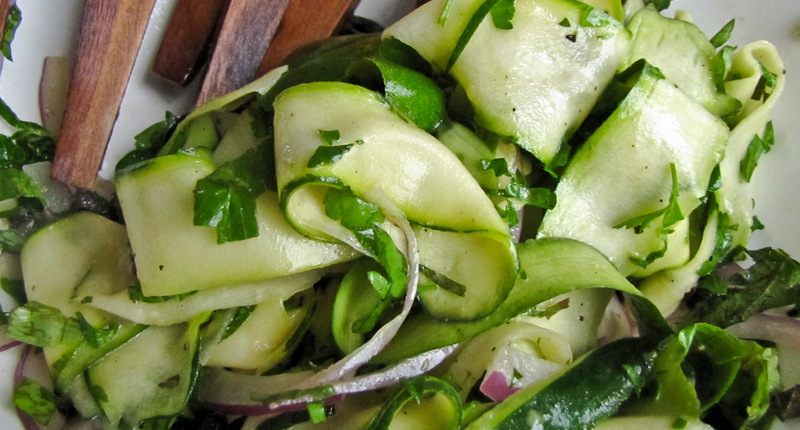 This entry was posted in Metabolic Medical Center Recipes, Modified Profast (Fast and Flexible) Recipes, Party & Entertaining, Salad, Vegetables and tagged healthy, marinated zucchini, Metabolic Medical Center Recipes, red onion, splenda, vinegar, zucchini, zucchini salad by foodies4mmc. Bookmark the permalink.